I let a bunch of scallions, a.k.a. green onions, go full cycle . . . 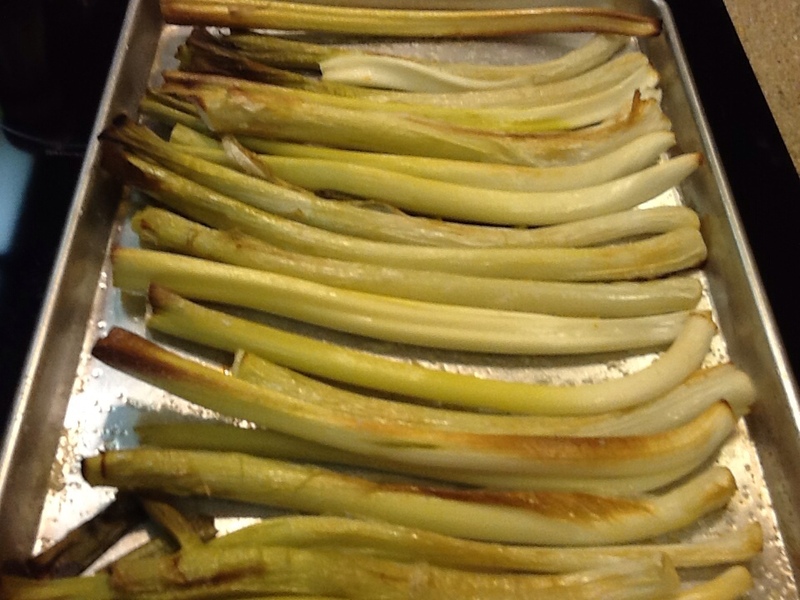 They grew huge, like mature leeks. Our little Pollinators enjoyed their flowers, and I harvested their seeds for my next planting. Finally, I pulled, cleaned and trimmed them. After laying onions out on a sheet pan, they were drizzled with olive oil and sprinkled with kosher salt. I baked them in the oven at 325F. for 45 minutes giving them a light roast and added sweetness. Cleaned, trimmed, salted and oiled . . . Scallions! 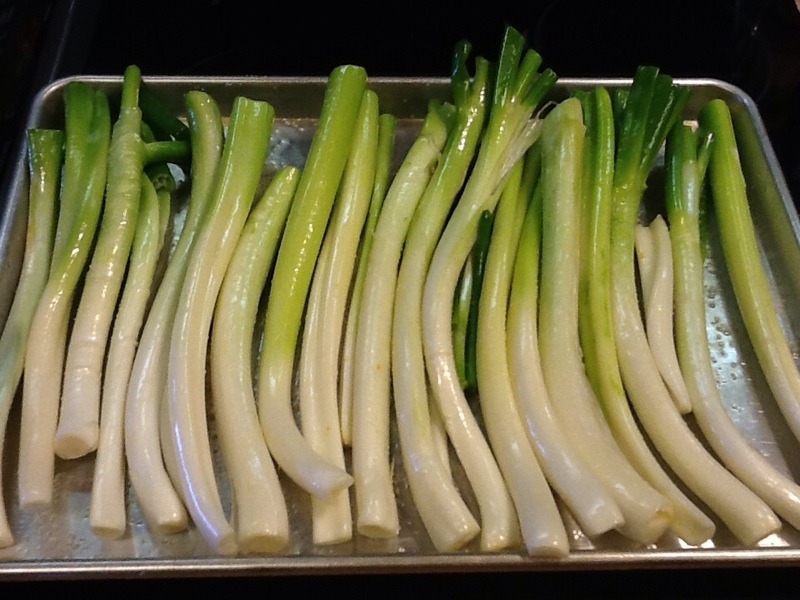 Scallion chunks ready for the dehydrator. I have a Ronco dehydrator, the packing slip on the box shows it was purchased June of 1992. There are certainly much better dehydrators out there but, this is what I have to work with. I put 2 empty trays on the dehydrator first, to buffer the heat. Next, I added white inserts for doing small items to the trays. Finally, I added my onion pieces. Dehydrating began yesterday afternoon. The green onion parts dry out first so, they were removed first. 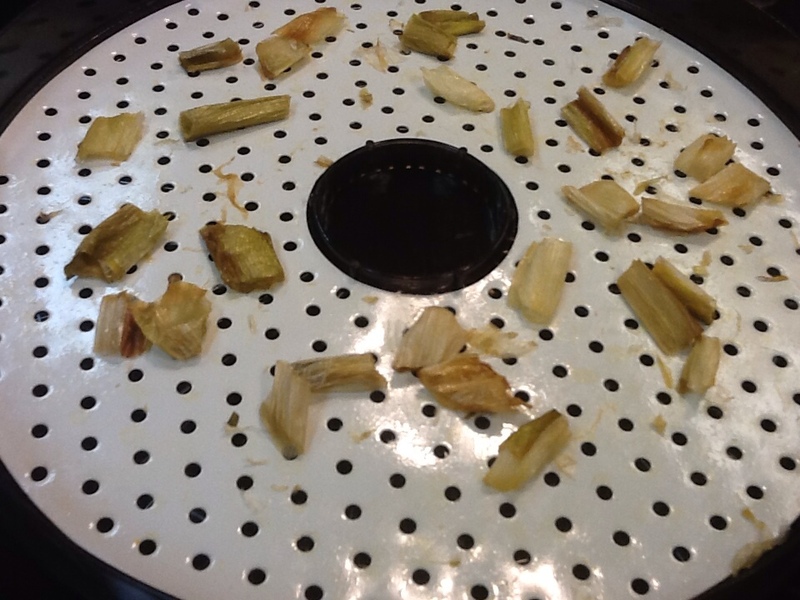 Every couple of hours I rotated the onion trays, moving pieces around and checking for dried pieces. The dried pieces were saved in an open container to continue the drying process in the event there might still moisture in the pieces. After 5 hours the pieces have shrunk considerably, their flavor has intensified and sweetened. 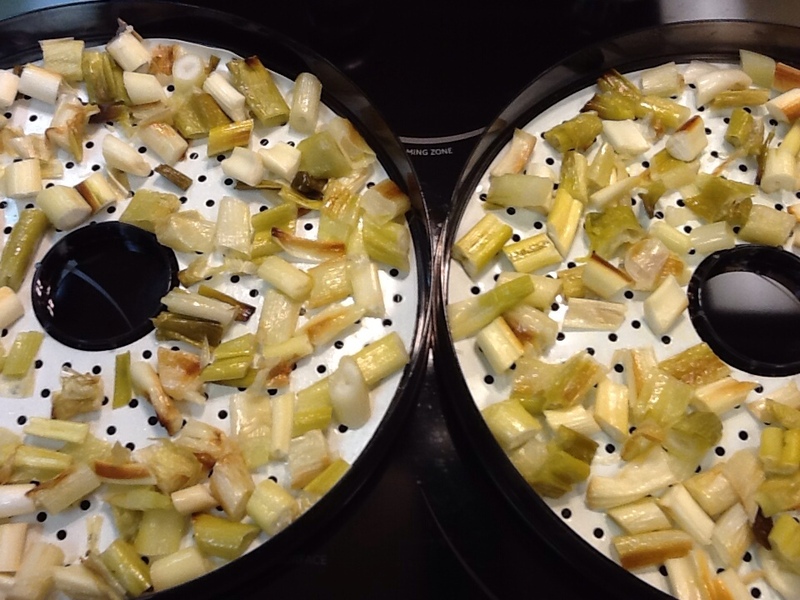 Before going to bed I shut off the dehydrator and transferred the now smaller onion pieces to 1 tray. 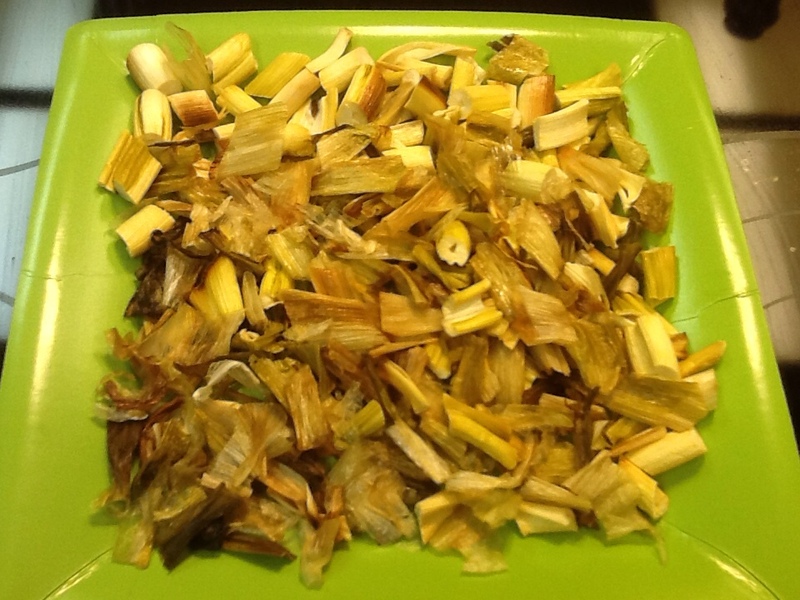 This morning I dried the scallion pieces a couple more hours and pulled more dried pieces. Now, 24 hrs later, there are just a few pieces needing a bit more drying time. Remaining pieces to be dried. 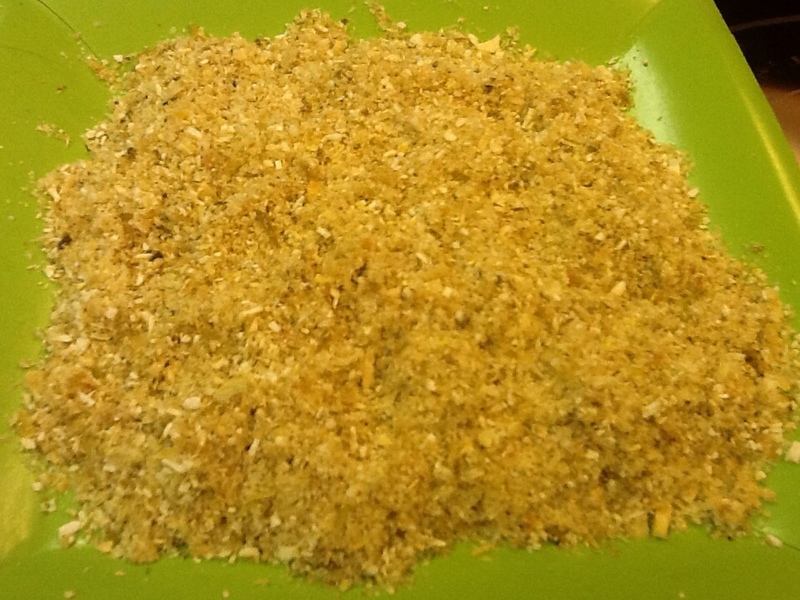 Dehydrated, roasted scallions hand minced. I minced all the dehydrated chunks but they were very tough. I was concerned that they would be too hard or require too long to rehydrate so, I put them in my blender on CHOP and gave them a whirr! My final product . 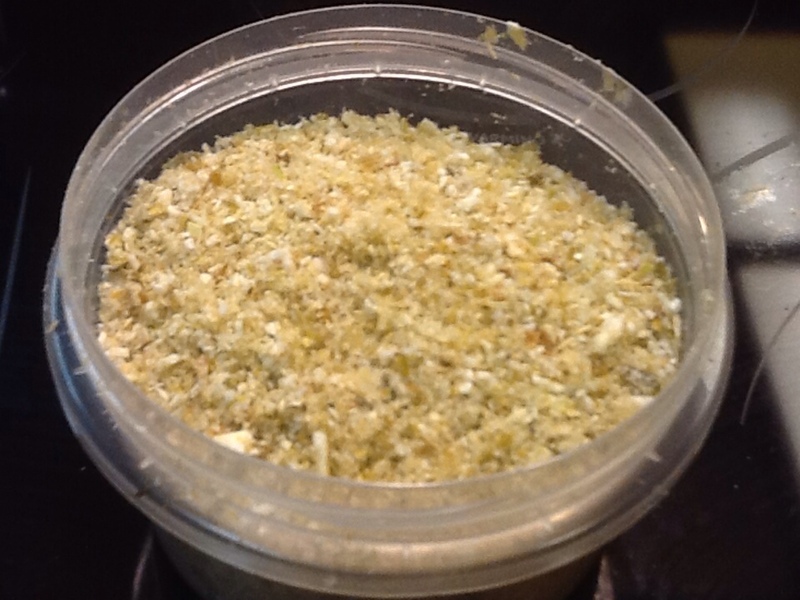 . . 2 cups of very finely minced scallions. What will I do with these sweet, intensely flavorful, dehydrated scallions? Roasting removes the raw flavor and adds sweetness. 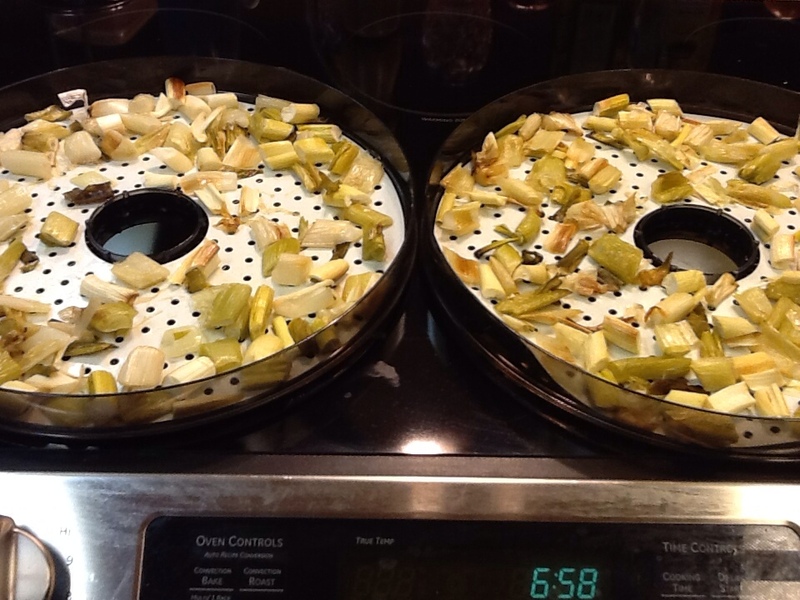 Dehydrating intensifies flavor putting it into a smaller package. Smaller packaging of flavor means smaller storage space. Fresh produce has a short shelf life. Dehydrating extends both the product and it's quality. 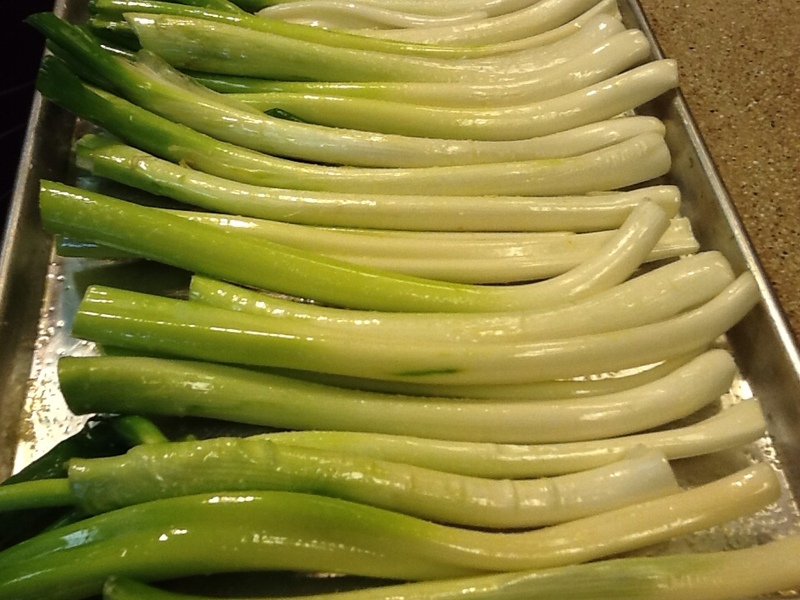 Processing (roasting, chopping, dehydrating) large batches of scallions saves time in food preparation and money. This idea to roast and dehydrate scallions just came to me while out in the garden. Think what you might discover if you give your imagination room to soar! I'm ready to break out of ordinary thinking and allow myself room to grow, create and stretch the boundaries . . . Over at Julie's!! !